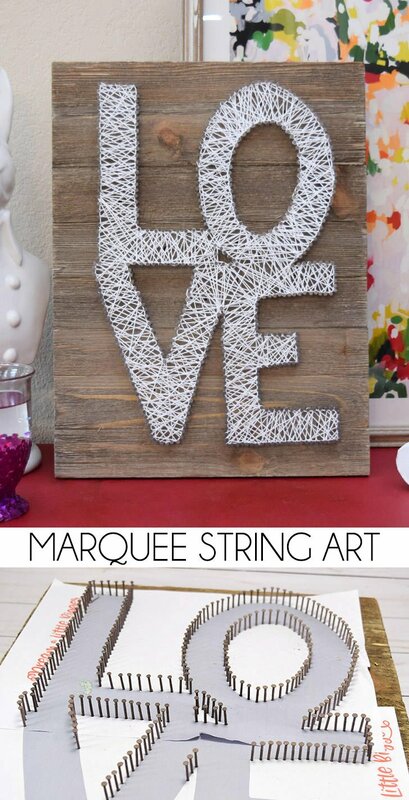 String art has been huge for a while. Actually it might not be all that huge right now. I’m not quite sure. 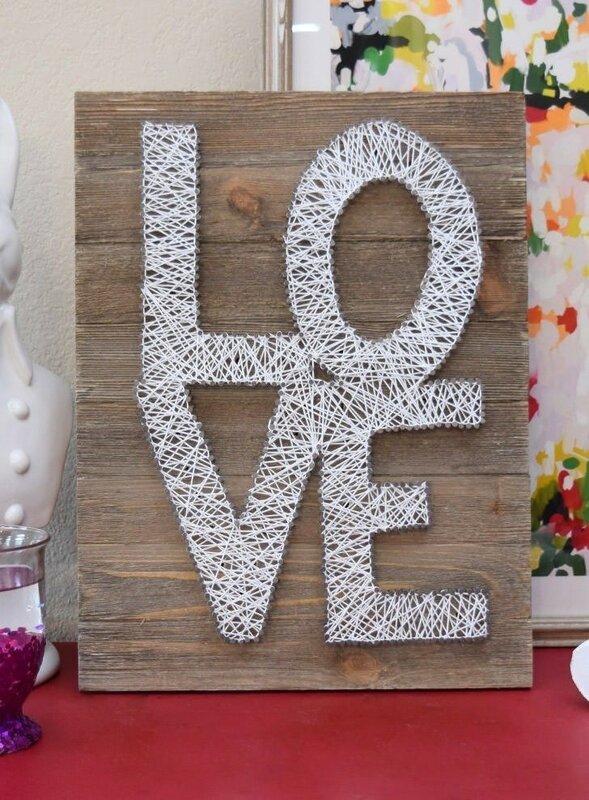 But no matter if it’s currently “in” or not I decided I wanted to do string art on wood. You know, like normal people. I do recall back in 2013 I did string art on a pumpkin for a zombie no carve jack-o-lantern. THAT was a weensy bit weird but a whole lot more awesome and I really loved that project! 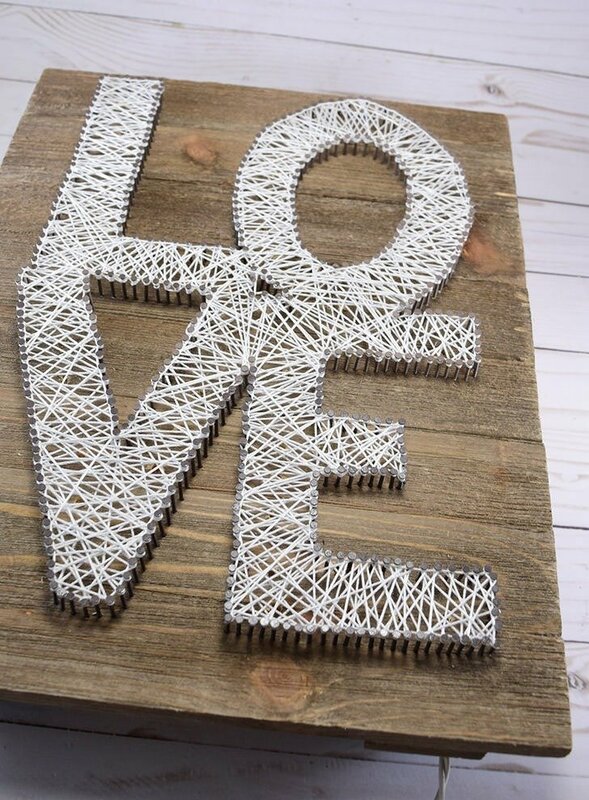 With Valentine’s Day right around the corner I up and decided to make string art but put a little twist on it. Unfortunately that twist did not photograph well at all. Womp, womp. I can tell you that it really does look really pretty cool in person even if the light is a bit more muted than I had hoped for. But no worries on that… I know just how to correct this so that you don’t experience the same problem. 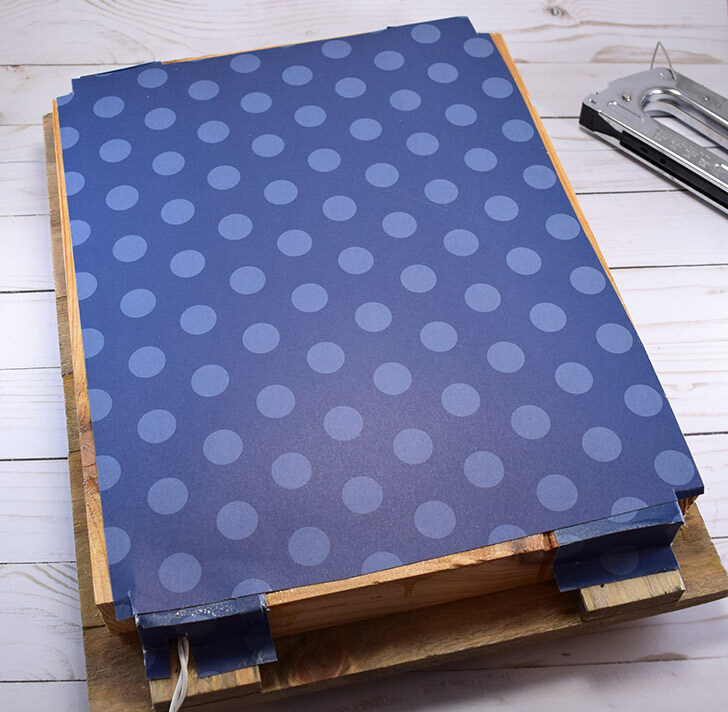 Piece your two sheets, if necessary, together and lay it out on your wood just as you’d like it to be in the end. 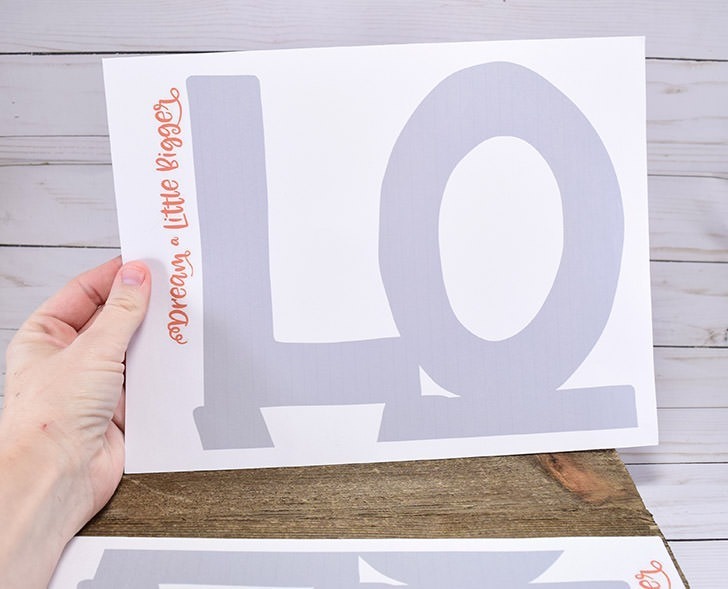 It’s easier to match things up well if you cut the white strip off of one of the sheets so that the design will actually meet up with the design on the bottom sheet. 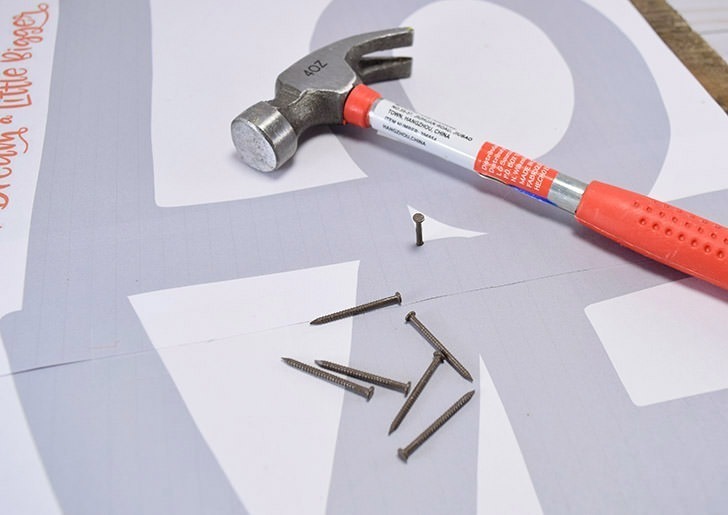 Hammer nails around the outline of your design keeping them fairly close together. If too far apart wrapping the string and filling the inside well might prove difficult. In order to get my nails as close as I did, I’d hold the nail steady in place with a pair of needle-nose pliers. This allowed them to be so much closer than if I held each nail with my fingers. AND it meant I didn’t smack the bejesus out of my fingers, which I figure would hurt even if with using a toy hammer. Once you’ve surrounded the entire design carefully pull away the paper. 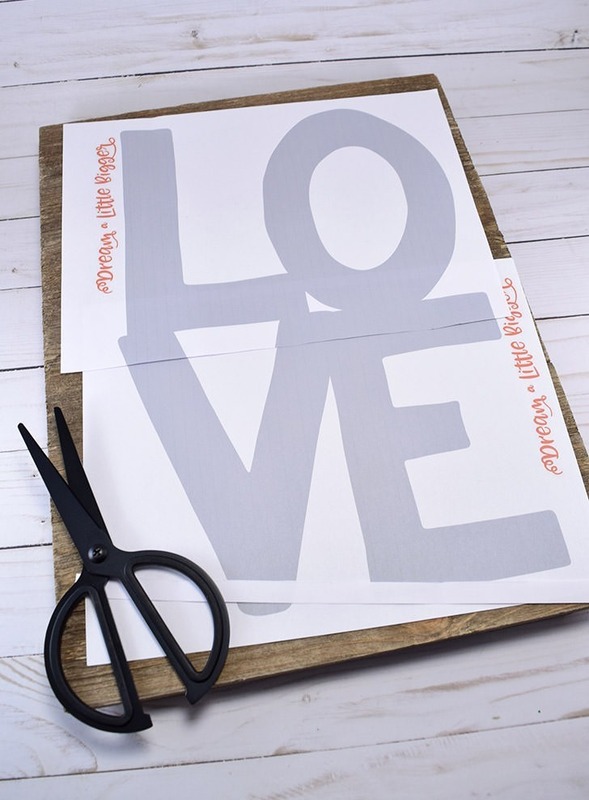 If you have a little scrap stuck on that business you might want to flick it off with something sharp, like an x-acto knife or pluck it away with a pair of tweezers. 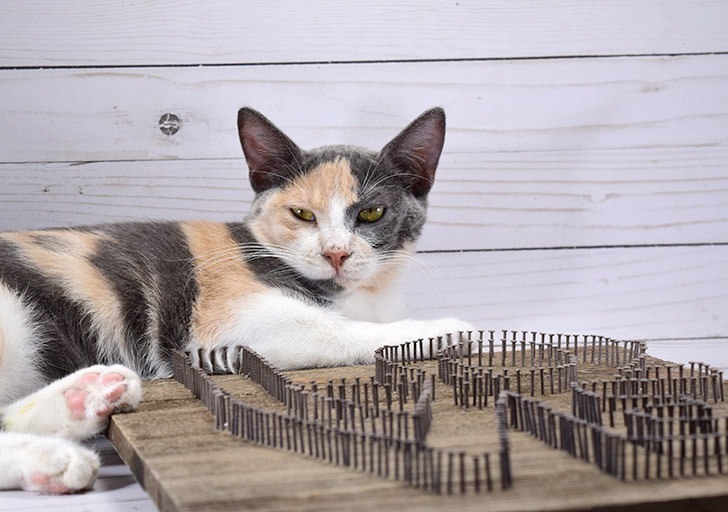 Say HI to Maybelline, cat craft assistant extraordinaire. I swear she’s happier here than she looks. Maybe is a sufferer of chronic RBF. Now this is the part where I messed up a bit. 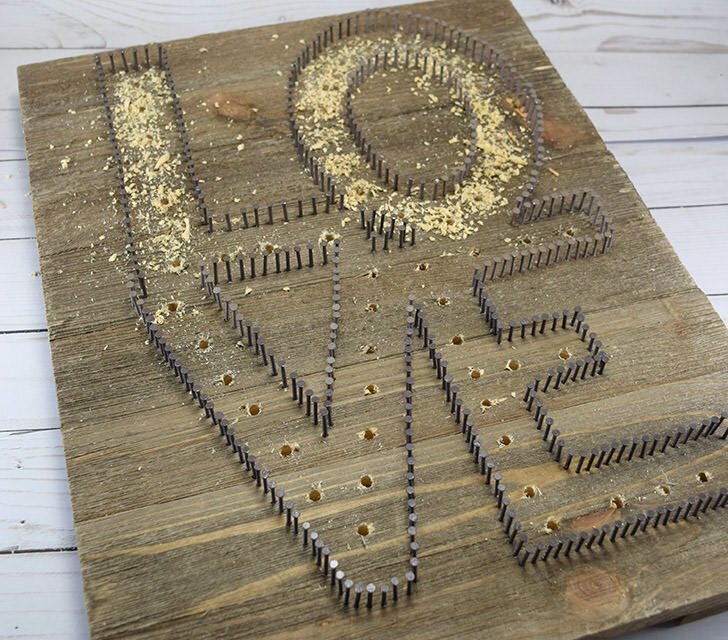 We’re going to drill holes into the letters just like on a marquee… fairly evenly spaced in the center of each letter. I’d strongly suggest using a decent sized drill bit to make these holes (at least twice as big as mine up there – but see below for more deets). For my marquee I used a far too small of a bit for the light to be easily visible through the strings. This was largely because the plan was to push the small Christmas/twinkle lights through each hole and have them protruding from the top of the wood but sitting neatly underneath the strings. What I didn’t anticipate was that on the backside of this pallet were 2 pieces of wood on either side to keep the entire piece together. That made every hole drilled trough those support pieces very, very deep… far too deep, in fact, to push the Christmas lights through and to the surface. 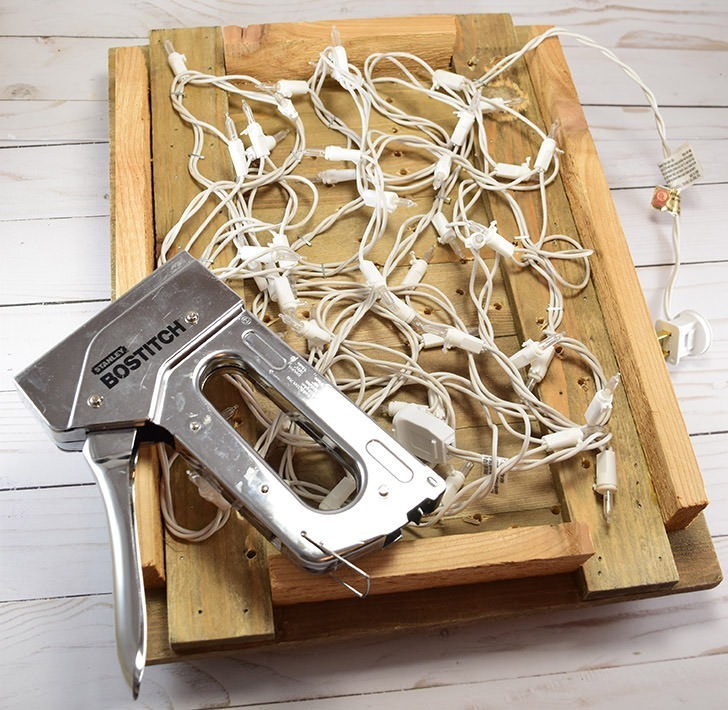 I tried to countersink the holes for each of the Christmas lights through the thicker wooden parts and it took so irritatingly long to do with limited success that I gave up. (see the bottom left of the support piece in the pic above) If you’d like your lights to peek through the wood buy or make your sign accordingly. To make things easier (and be able to skip a few steps below) I’d strongly recommend taking more care than I did with the wood piece you’re going to use. Because of this failure I was going to need to attach the Christmas lights BEHIND the sign meaning that the back of this sucker was going to glow bright as all get out and totally ruin my marquee light look. 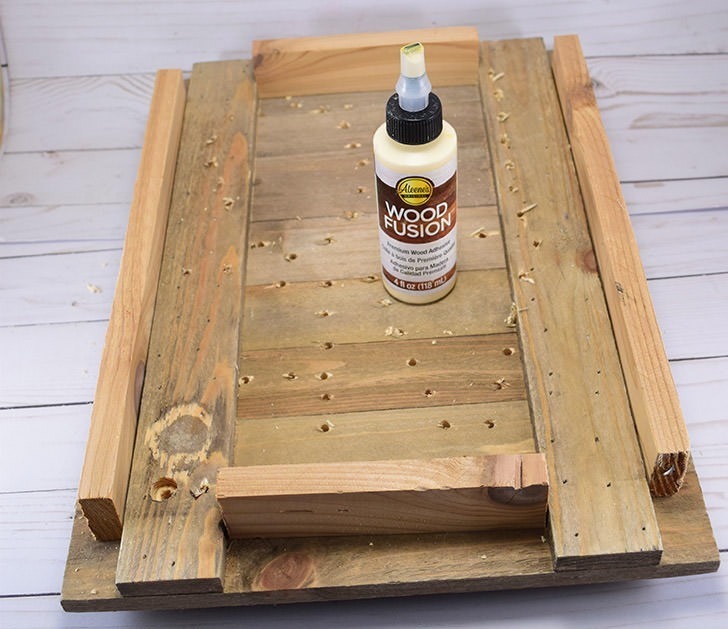 As such I used scrap wood to make a frame on the back of my pallet that I could attach a back onto to keep the light from seeping out through the back. It wasn’t difficult, just time consuming and totally unnecessary. If you do this right you’ll be able to tack down the lights as they stick through the front of the sign. I wound up just tacking them to the back in general in a crazy fashion. If you do have to go this way, as I did, I’d recommend positioning a light over each hole rather than all willy nilly like I did for more light to shine through. Now let’s get to the stringin’ bit, shall we? 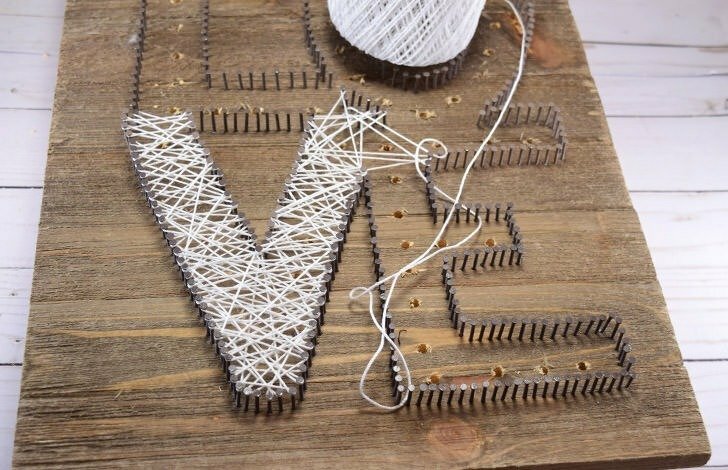 Starting with an overhand knot on a nail, zig and zag string around each nail to cover the space well enough that your letters are visibly easy to distinguish. #10 sized crochet thread works fabulously for this project and if you already have some in your craft stash grab it. If you don’t I might suggest picking up a ball of this good stuff because I swear you’ll find lots of uses for it around the house. I have never actually crocheted with the stuff and yet I’m on my second ball of white crochet thread just from various uses. 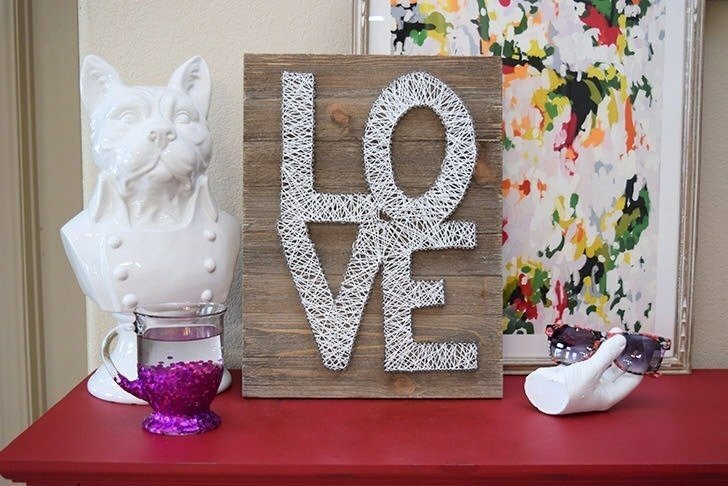 To make my letters even more easily noticeable I traced the outside of my LOVE letters giving the piece a nice border. Once you’ve gotten the piece strung up as you please tie off the string on the last nail, securing it as well as you can. 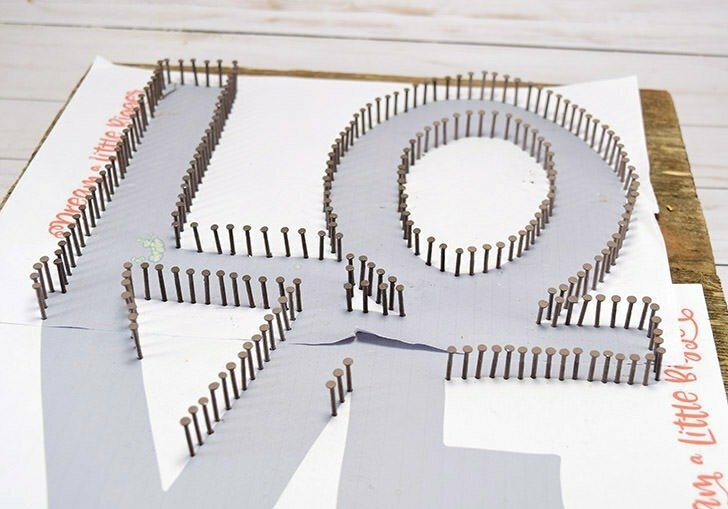 Trim the excess string from both your starting and ending nails. Feel free to secure the string with a dab of glue if you aren’t quite confident in your knots. Now taking pics in low light is not one of my strengths. Heck, taking pics in any light can prove difficult for me! But here you can see how in lower light the piece does glow, just not hardly as much as I had hoped for. 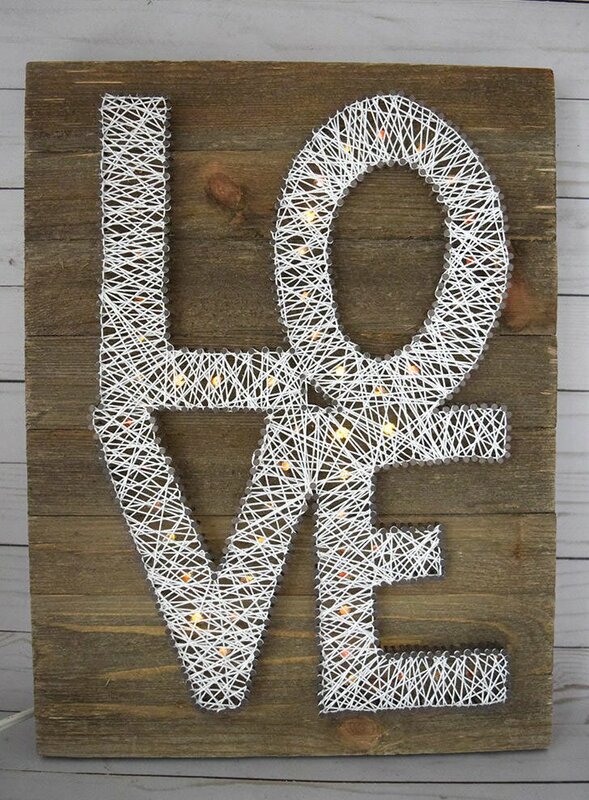 Nevertheless, I’m pretty darn happy with my LOVE letters marquee string art and I totally plan on trying this project again with a more appropriate pallet or piece of wood. If I ever get around to it, I’ll update this post to show it off. Until then, happy stringing!